I must say, I had a really good weekend. 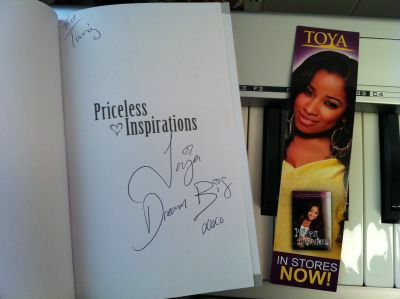 On Friday night, I found out on Twitter that @ToyaWright (fka Antonia Carter, reality TV star of "Tiny & Toya") was going to be at the Missouri Black Expo on Saturday to sign copies of her book. That was pretty much all the incentive I needed to add a trip to the Expo to our weekend! On Saturday, we took off for downtown, stopped by the office to say "hi" to a few of the wife's co-workers that were doing overtime, and headed to the convention center for the Expo. We were pleasantly suprised to find that the Expo is, once again, almost as good as it was years ago. In recent years, the Expo was very disappointing, with few exhibitors present, and all the food sample booths were apparently prohibited for awhile. There was always a booth or two of bootleggers (CDs and DVDs), which was puzzling to me. 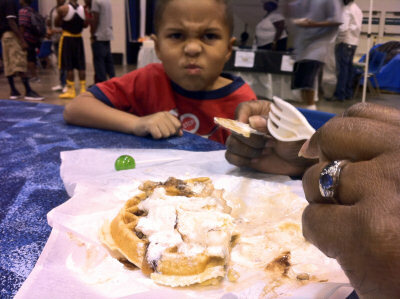 This year, the room was filled with exhibitors, there was a boxing ring, a main stage, a few food/drink sample booths, and even some Southern-style food, including some excellent waffles from Waffle King, which should be opening a store soon in the Delmar Loop area. 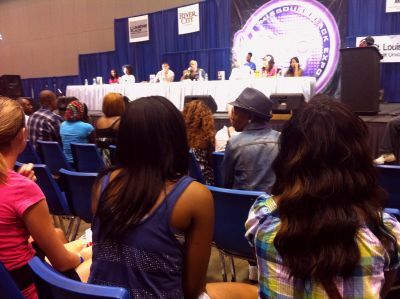 At noon, on the main stage, Toya Wright and a number of other authors talked about their books, and later were available to sign copies. 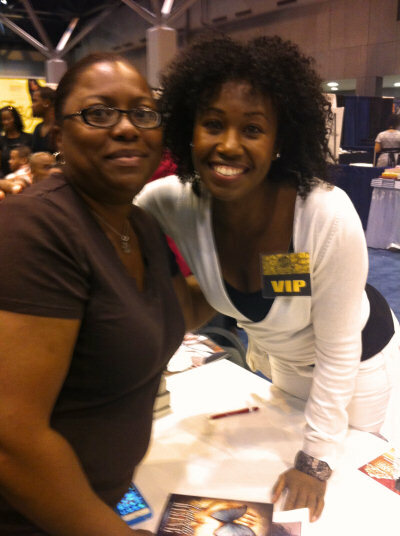 Among them was Tanya Wright, author and actress on the show "True Blood". We stopped first to get Tanya's book, and the wife talked with her for a little while. Meanwhile, there was a line to meet with Toya. Some of the girls in line were pretending to buy the book so they could meet her. I was probably a bit nervous, and maybe she was as well, because she dotted my "g"! Anyway, we bought that one too, and had her sign it. Then we took a pic of Lil Dude with her. She's a beautiful girl for sure, and her book, part autobiography, part advice, aimed (mostly) at young girls, is really very good. Sunday I was scheduled to play a "church picnic" gig in Bellefontaine Neighbors with Latin jazz keyboardist Phil Gomez. We arrived an hour before the gig, and there was not a soul in sight. So we headed to Steak-n-Shake, got slow service and burgers to go, and returned to find a modest crowd of cars in the lot. As it turns out, there was no picnic, just us playing a concert in the sanctuary to a very polite audience of mostly seniors. Even though we skipped the death metal, we had a good time, and the audience seemed to have enjoyed it as well. They invited us to share some cookies and punch after the show. We were told that unfortunately, the punch was not spiked. Sunday night ended with two episodes of "True Blood" and a dinner that included chicken wings and fried, homegrown eggplant topped with goat cheese. This wife of mine can really throw down. I'm a lucky man.